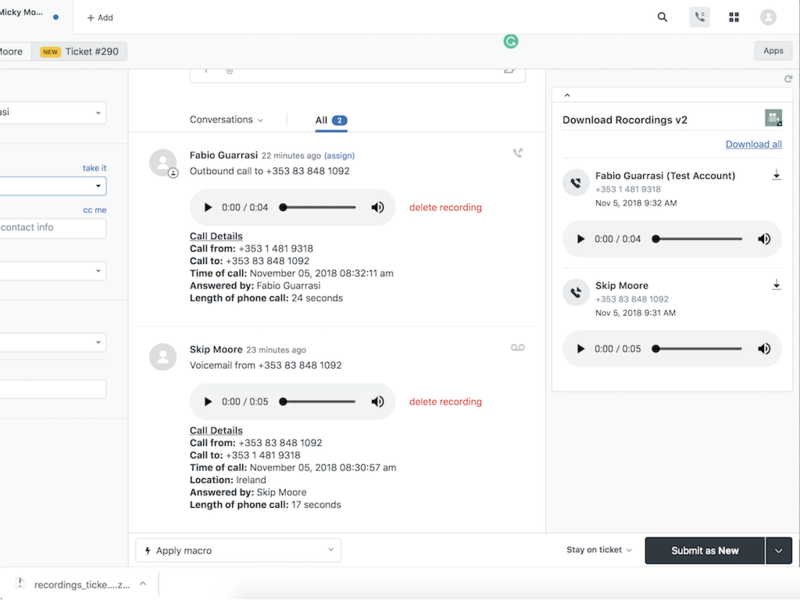 Easily download Talk recordings and access them offline anytime. 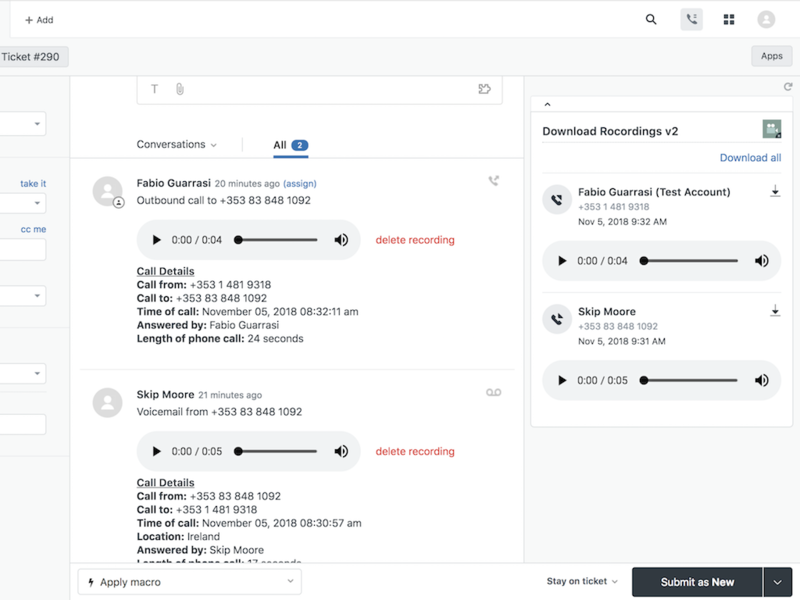 With this app, administrators and agents will be able to reference past calls, troubleshoot, and perform QA activities more easily as opposed to searching and pulling up the ticket every time to listen. 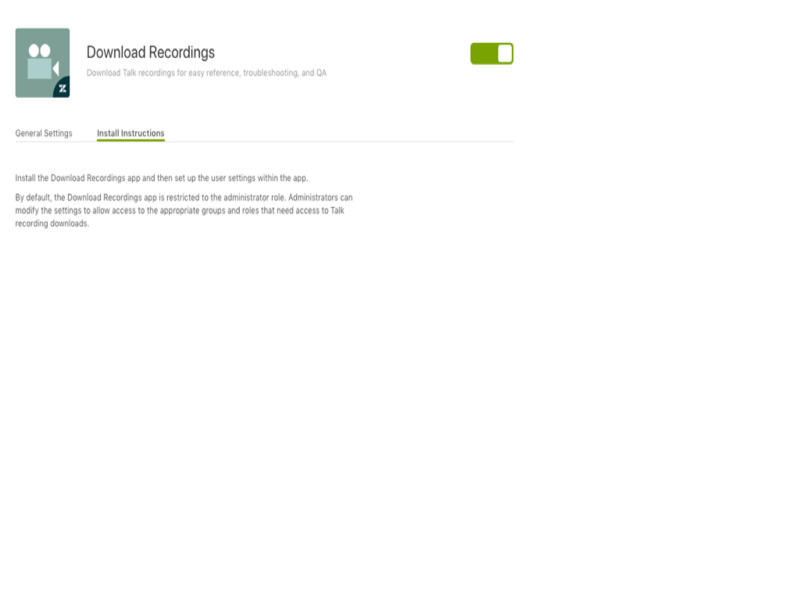 Install the Download Recordings app and then set up the user settings within the app. By default, the Download Recordings app is restricted to the administrator role. Administrators can modify the settings to allow access to the appropriate groups and roles that need access to Talk recording downloads.